Rachel Sanders Gangwer is certified by the Suzuki Association of the Americas as a Suzuki Violin teacher having trained at both the Memphis Suzuki Institute and the Suzuki Music Columbus Summer Institute to instruct from the Pre-Twinkle level through Book 3. She has taught students ranging in age from preschool through high school through her home studio, the University of South Carolina Suzuki Strings and Community Music School programs, and has also held studios at the Montessori School of Camden, Heathwood Hall Episcopal School, and the Charleston Academy of Music. Rachel is currently accepting a limited number of new students in the Charleston area to her home studio in West Ashley. Rachel holds a Bachelor's degree in viola performance from Bowling Green State University, and both her Master's and a Graduate Performance Certificate in Music Performance from the University of South Carolina. While earning her graduate degrees Ms. Gangwer served as the graduate administrative assistant to both the Community Music School and the Suzuki Strings Program. Ms. Gangwer is the full-time librarian for the Charleston Symphony Orchestra and also performs regularly in their the viola section. 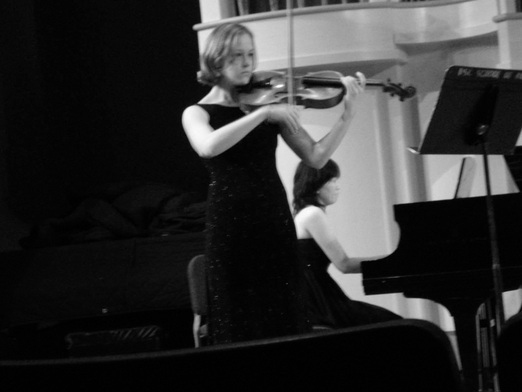 She has also performed with the South Carolina Philharmonic, Symphony Orchestra Augusta, and Hilton Head Orchestra and has attended and performed at many summer festivals including Piccolo Spoleto, Bowdoin International Music Festival, Magic Mountain Music Farm, Hot Springs Music Festival, and the Karen Tuttle Institute at the Cleveland Institute of Music.